 One of the ways that CTF Solar stands apart from other photovoltaic companies is our unique ownership structure. As a subsidiary of a leading Chinese technology company and solar photovoltaic manufacturer and installer CTIEC (China Triumph International Engineering Co. Ltd.), we have access to a broad network of resources that spans the globe and includes everything from in-house financing services and construction materials to development resources and high-quality solar modules. As part of CNBM (China National Building Material Co., Ltd.), a Global Fortune 500 enterprise, CTIEC enjoys the stability that only a state-owned enterprise can. As one of the world’s largest producers of solar front glass and a major building materials supplier, CNBM itself also provides a number of advantages to CTF Solar.